"A Great Power of Attorney"
What kind of document is the United States Constitution and how does that characterization affect its meaning? Those questions are seemingly foundational for the entire enterprise of constitutional theory, but they are strangely under-examined. 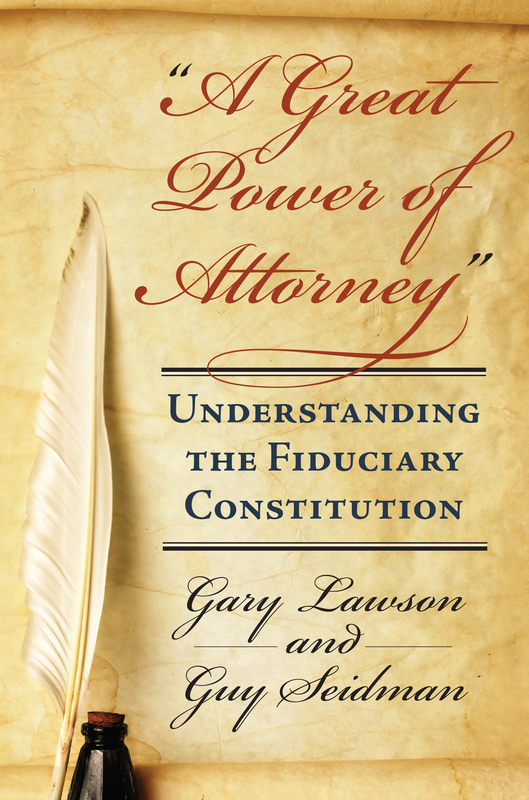 Legal scholars Gary Lawson and Guy Seidman propose that the Constitution, for purposes of interpretation, is a kind of fiduciary, or agency, instrument. The founding generation often spoke of the Constitution as a fiduciary document—or as a “great power of attorney,” in the words of founding-era legal giant James Iredell. Viewed against the background of fiduciary legal and political theory, which would have been familiar to the founding generation from both its education and its experience, the Constitution is best read as granting limited powers to the national government, as an agent, to manage some portion of the affairs of “We the People” and its “posterity.” What follows from this particular conception of the Constitution—and is of greater importance—is the question of whether, and how much and in what ways, the discretion of governmental agents in exercising those constitutionally granted powers is also limited by background norms of fiduciary obligation. Those norms, the authors remind us, include duties of loyalty, care, impartiality, and personal exercise. In the context of the Constitution, this has implications for everything from non-delegation to equal protection to so-called substantive due process, as well as for the scope of any implied powers claimed by the national government. In mapping out what these imperatives might mean—such as limited discretionary power, limited implied powers, a need to engage in fair dealing with all parties, and an obligation to serve at all times the interests of the Constitutions beneficiaries—Lawson and Seidman offer a clearer picture of the original design for a limited government. Gary Lawson is Philip S. Beck Professor of Law at Boston University School of Law. He is coauthor with Guy Seidman of The Constitution of Empire: Territorial Expansion and American Legal History. Guy Seidman is a professor at the Radzyner School of Law, The Interdisciplinary Center, Herzliya, Israel.